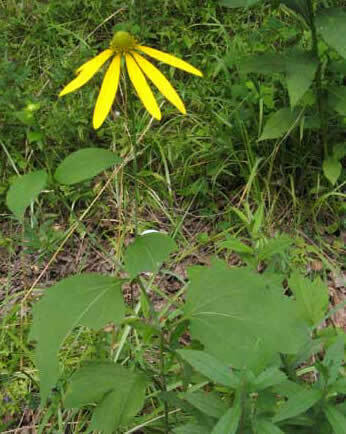 Identification: Flowers yellow with long, strongly drooping yellow rays and a thimble-shaped, gray disk. Flower with an anise scent when crushed. Stems hairy. Leaves strongly divided into a series of elongate lobes, covered with whitish hair. Plant 3 to 5 feet in height. Distribution: Minnesota in the west and eastward to western New York, southward to Florida and Louisiana. 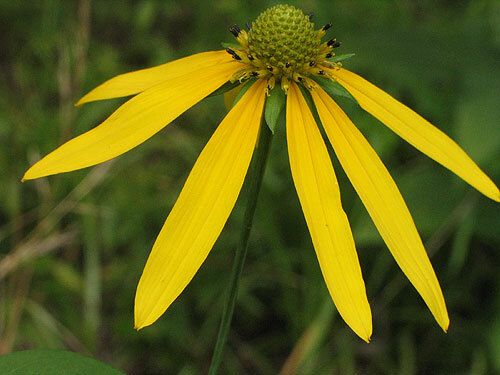 Habitat: Gray-headed Coneflower is found in prairies, fields, and pastures. Flowering period: June to September. 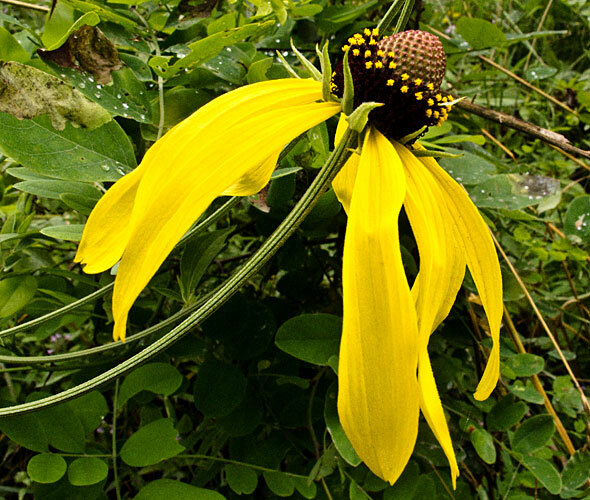 Similar Species: Gray-headed Coneflower is most similar to green-headed coneflower. The disk of Green-headed Coneflower is green and the rays, although reflexed, do not droop as strongly as those of Gray-headed Coneflower. The stems of Green-head Coneflower are smooth, not hairy.